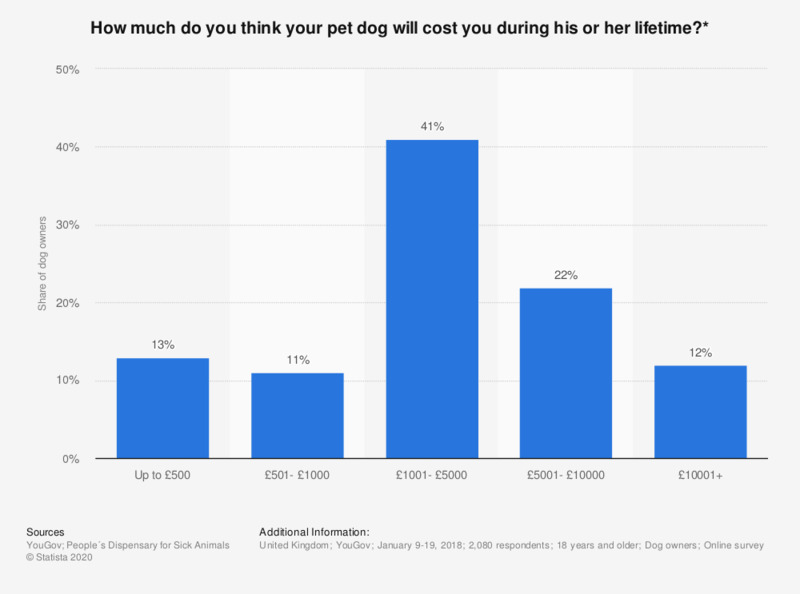 This statistic shows the estimated lifetime cost of keeping a pet dog as perceived by pet owners in the United Kingdom in 2018. According to the survey, only 12 percent of owners expect the lifetime cost of their dog to be over 10,000 British pounds. Actual likely lifetime costs as calculated by PDSA show the cost of keeping a dog to be considerably higher than this.